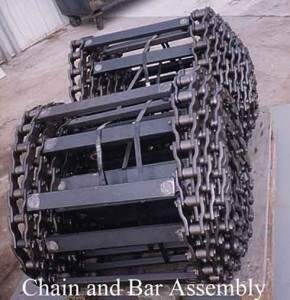 We use top quality chain from our alliances with the leading chain manufacturers in the United States made to U.S. standard specifications for our paver chain and bar assemblies. These chains are designed to exceed the listed ultimate strength ratings. These ratings are very significant. Chains with greater ultimate strength have higher actual yield and greater fatigue strength. With our chains you get extra reserve strength to withstand high shock loads. 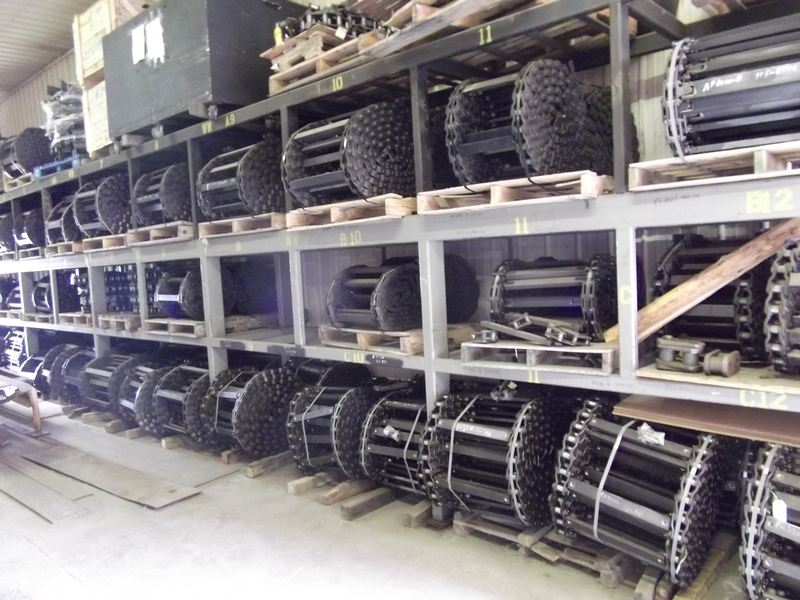 Our Manufacturers’ chains are built to withstand the most rugged conditions. They use the latest heat treating techniques to manufacture every component. Each component is carefully machined to close tolerances to ensure precise pitch control for smooth sprocket/chain interaction. That means longer service life for chains and sprockets. Some of our competitors are using imported chains and are not made to the stringent U.S. standard specifications and while the deficiencies in the chain quality may not be immediately apparent, the reality is that it fails under a heavy load. Instead of saving you money, these inferior chains will significantly increase your cost per hour of operation and your down time costs due to premature failure. 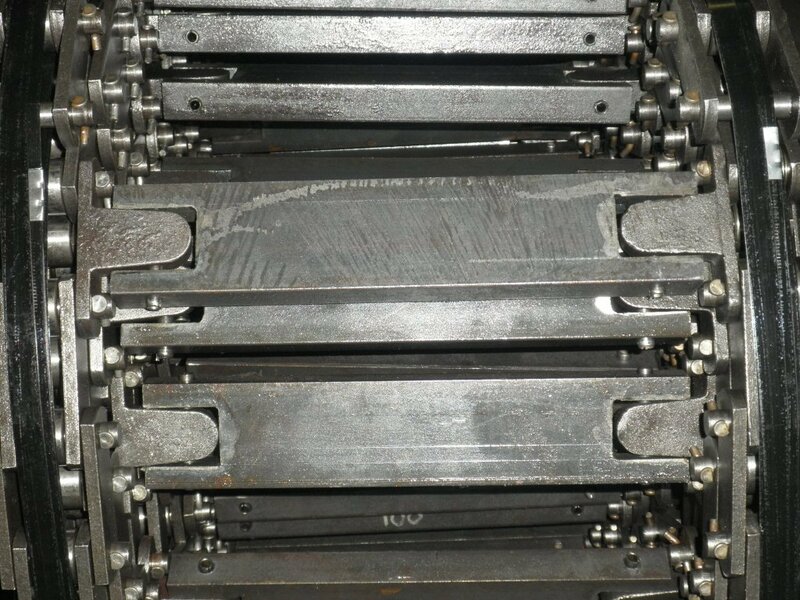 We supply Inclined Scraper Conveyor Chains in 4″ to 6″ pitch with both K- and slotted-M style attachments. These chains are designed and constructed to give the best combination of strength and toughness. The chains are balanced to ensure continued safe operation. 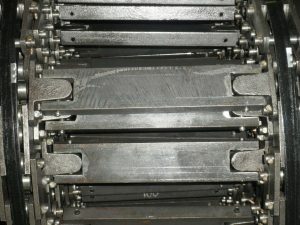 Sidebars are hardened to resist the impact loading that may occur. 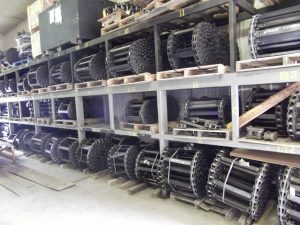 Rollers are specially heat-treated to resist outside diameter abrasion inherent in asphalt conveyors. 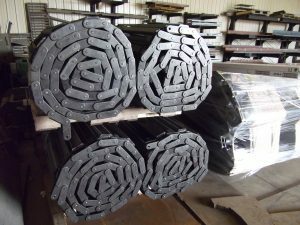 These special features make our chains long-lasting and keep your operation running smoothly. We make sure that our supplier guarantees the chain is manufactured to U.S. standards and getting heat treated side bars helps to protect you against premature failure and ensures that you are comparing apples with apples and not a quality product with one that just will not last. Having started our manufacturing process with superior quality chains, we then fit superior quality steel bars and hardened pins, thus providing you with a top quality product that will give you many hours of hassle free use. We have extensive inventories available for immediate delivery and we believe our pricing is the best in the market.